OMG!!! What a wonderful picture. That would make a great poster worthy of being put in a frame and hung on a wall. Here they are, packed up and ready to go to The Gathering! Enjoy this photo, and think about joining us in Oregon July 22-26th. I love this photo and I love these dogs! Makes me think of the future when we can have 2 ourselves. Wow! So regal! ... just WOW! Sure is AMAZING! Look at those eyes...they see everything....Chhaya has that same look as Tamarack...with her being his Aunt I guess it's to be expected...it just makes my heart skip a beat every time I see a picture of him. Rune is sure one handsome AIDog!! They look great in the woods! and so alert, watching each other's backs! I've been taking another look at their ears. It's a stunning photo. Thank you everyone! Yes alert, they are - never miss a thing between the two of them, but I suppose that's true of all AIdogs. It's funny looking at this photo now, when I took it I remember thinking how grown up Rune looked. Now I look at it and laugh at his baby face! He is so much more mature looking now, he really has grown up to be a very strikingly handsome dog. I also might add that as a photography nut, I can't even tell you how convenient it is to have two incredibly attractive dogs that will stand and pose together when asked I have so. many. pictures. Now that is a GREAT photo. Rune is out of Azteca x Jay! His siblings are Shiloh and I believe Houston, Boone, and Tayamni (sp? ), though I think Houston is the only one from his actual litter and the others were from a year previous. Lots of Azteca x Jay pups floating about. Is Teak another? I'll go check out his pictures! 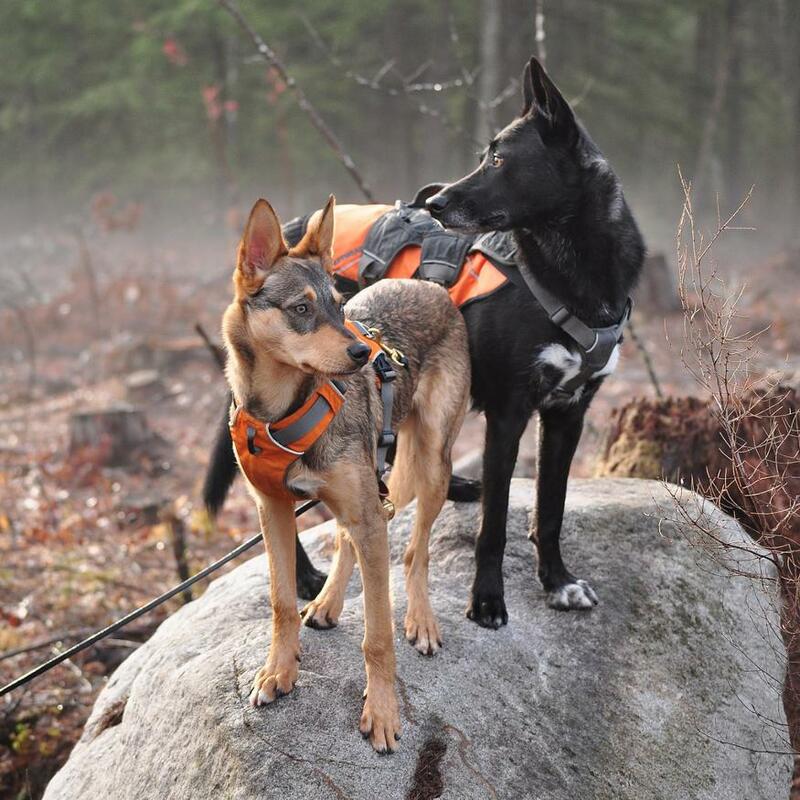 Nakoma the Search&Rescue dog in Pennsylvania is Rune's older brother, too! One of the 6 from Azteca x Jay 2014.
and yep, you got Tayamni spelling correct - I know, it's a mouthful. I just looked back at the Azteca X Jay 2015 new pups pics and I believe that Rune was my favorite! I too would like to know who has each of the 7 pups (are they active on the forum?) from that 2015 litter are and how they are doing! I know Houston is doing well, she was a very laid back pup and still is miss calm, cool, and collected. Great photo! Atticus and I enjoy your Instagram feed a bunch too! Thanks for sharing!